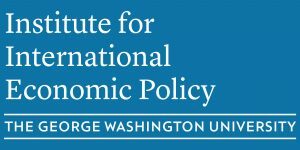 The Washington Area International Trade Symposium (WAITS) is a forum that highlights trade research at institutions in the Washington D.C. area. Its primary activity is sponsoring an annual research conference where scholars present their latest academic work. Researchers from George Washington University, American University, the Census Bureau, the Federal Reserve Board, Georgetown University, the Inter-American Development Bank, Johns Hopkins University (SAIS), the U.S. International Trade Commission, the University of Maryland, and the World Bank have all participated in the symposium.